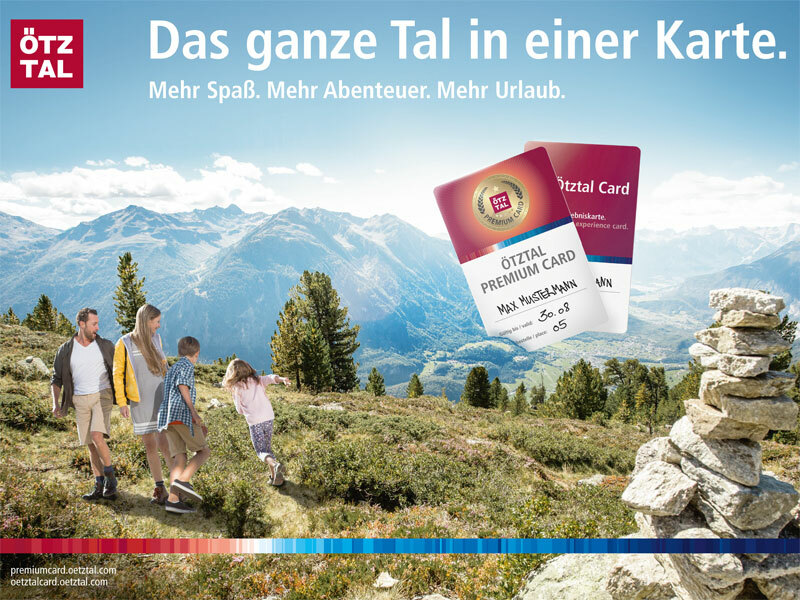 As a guest of our house you get the Ötztal Premium Card. This way you can experience the highlights of the Ötztal, such as the summer lifts, the museums, the AQUA DOME thermal spa etc. free of charge. 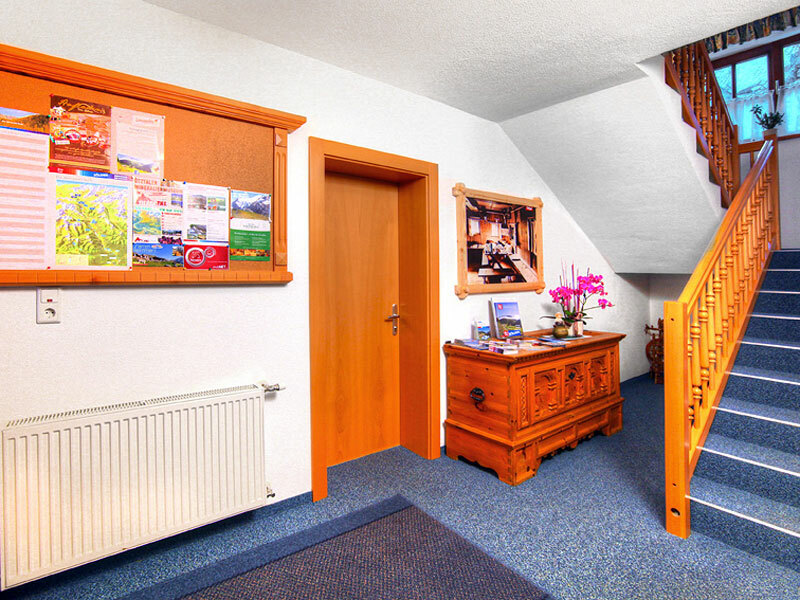 Our family-run apartment house is somewhat above the village centre, near the downhill to the Giggijochbahn lift. 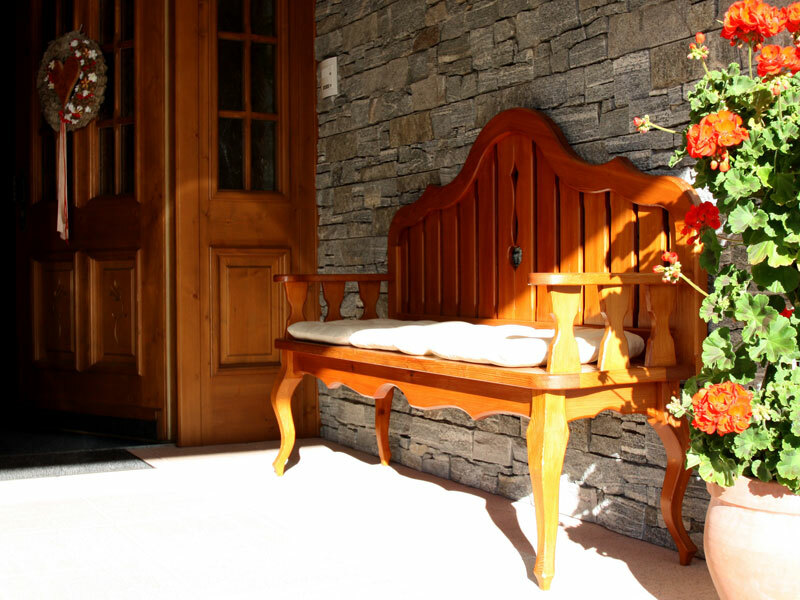 It is in quiet, peaceful and sunny location and offers a fantastic view of the surrounding mountains. Service institutions you might need during your holidays, such as shops, restaurants and banks are within a 5-7-minute walk from our house. The downhill piste to the Giggijochbahn lift can be easily reached by foot (approx. 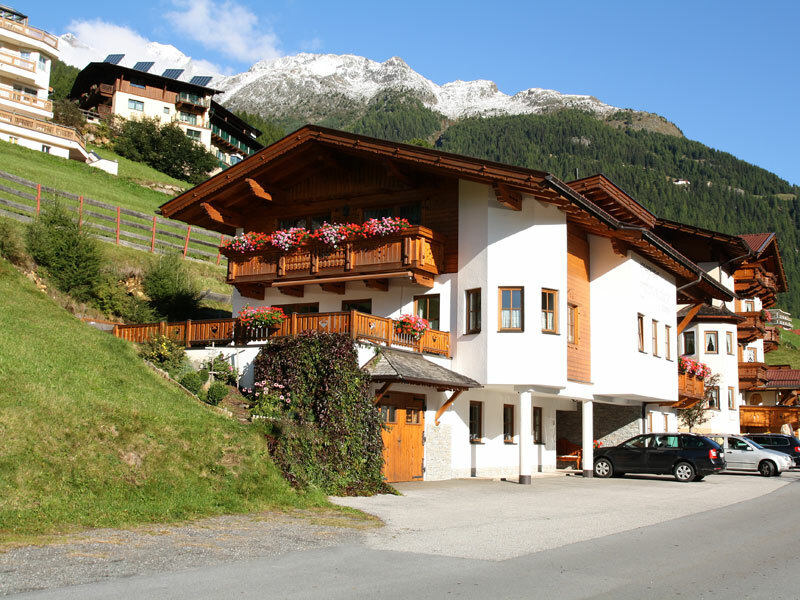 150m), but you can also take the free ski bus (stop next to the house), which operates four times each morning and four times each afternoon between the Giggijochbahn lift and the apartment house. Hiking, mountaineering and biking in the summer, skiing or tobogganing in the winter – at our place you are in the centre of it all. 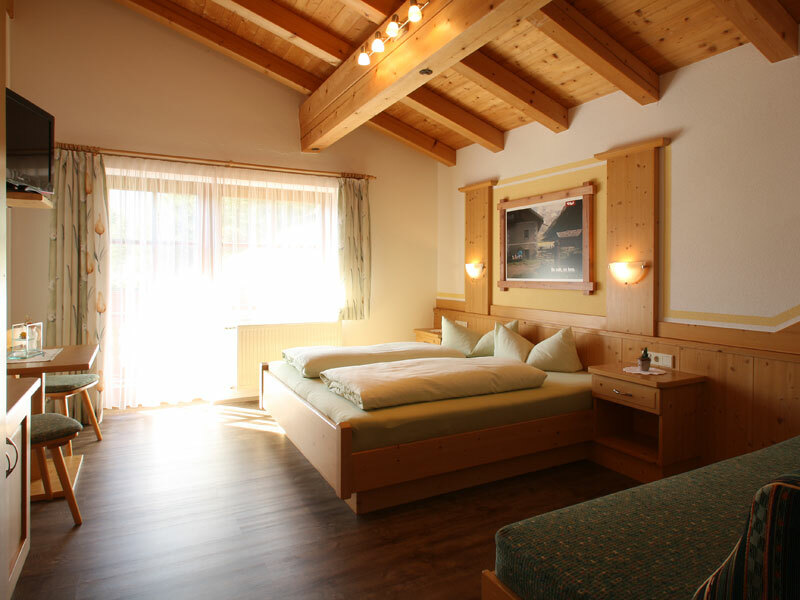 Our Haus Ferienglück is the ideal base for summer and winter activities.